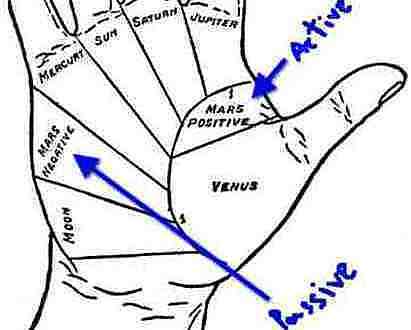 Head Line In Palmistry: Head line may start from 3 places, 1. from the mount of Jupiter means region under the index finger on palm, 2. from Life line, 3. from the active Mars region, means inside the life line, the region between Venus mount and Jupiter mount. Head line is also called “The line of wealth”. 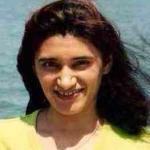 Do not think only Head line decides how much wealthy a person would be, to judge that several other methods are there, I have discussed that in my another Article “Money & Wealth In Palmistry“. In future I will also tell you more about that, but yes, head line plays a crucial role in the matter of wealth in your life. Suppose you have seen some indications of an incident that could happen in one’s life, from the Head Line, but how is it possible for you to know the correct age for that incident to happen ? it is absolutely possible. There is a system to get the exact age, but it is simply depends on your practice. The more you will practice the more you will be expert in this field. Now let’s discuss how to get the correct age from head line. The procedure is very simple, so many other procedures may have their own existence, but, throughout practice life what I found very logical and matched with almost every cases that I will share with you today. These procedure is totally related to four fingers – 1. Index Finger, 2. Middle Finger, 3. Ring Finger, 4. Little Finger. Take the middle point in between region of Index & Middle finger and then draw a straight line from that point to wards head line, where that straight line will cross on head line that point is our first 25 years of age. In this way, from the next three fingers will be judged and the ages would be 50, 75, 100 and so on. Now more you divide those 25 years span that much small age span you will get, like, 12 years, 37 years etc. In the initial stage of learning you can use a scale to measure, that will give you a clear picture. Mars is the ruling planet of this line, that’s why this line is also called the “Line of Mars”. Now we all know that Mars is controlled by Jupiter or Guru and Moon, so in Mars we will get some characteristics of these two planets and in this line too. So remember, always judge mounts of these planets while judging the head line. To get more detail information we have to judge the mount of rahu and ketu also. My dob is 22-12-85 tob -6:10am place-rohtak.